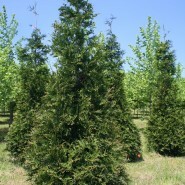 Fast growing, deer resistant arborvitae. 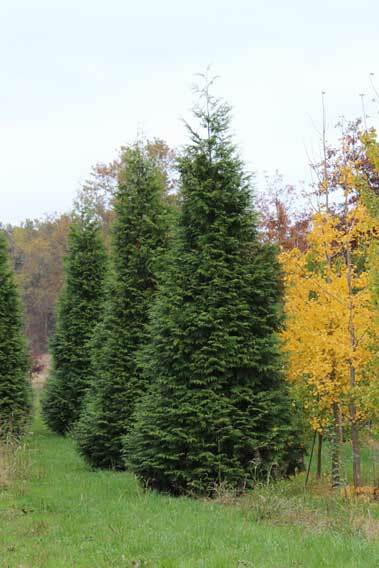 Foliage very similar to Common Arborvitae. 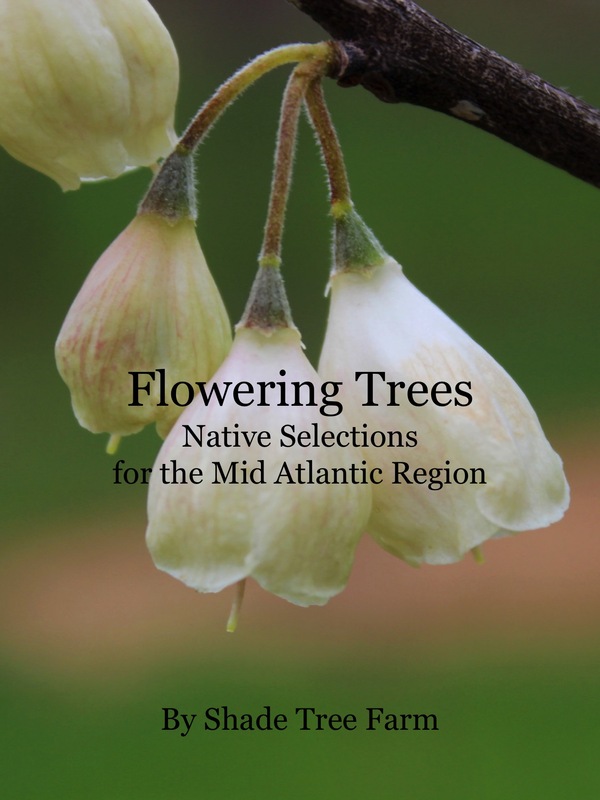 Useful as an alternative selection for Leyland Cypress. 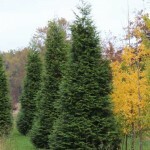 Height: 25 – 30′ Spread: 8 – 10′ Rate: Fast Form: Pyramidal Exposure: Partial shade to full sun.